Messengers are very important for our lives and for our business at the moment. WhatsApp is one of those messenger apps that we use our smartphones. We want to back up our chat stories because of some reasons on messengers. You can also do that on WhatsApp too and you will able to do it through iCloud. 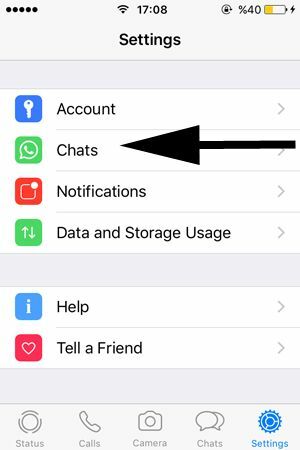 The process very easy and you will able to complete all steps very quickly if you would like to cloud backup of WhatsApp chat history on your iPhone device. If you have any questions, you can ask us through the comment section below. Run WhatsApp on your iPhone or iPad device. Go to settings on the application. You can see that option at the bottom menu. You will see “Chats” on the settings menu. Please tap on Chats. You will see the “Chat Backup” option in the new page. Please tap on “Chat Backup”. If you haven’t login to your iCloud, please login or get an iCloud account. 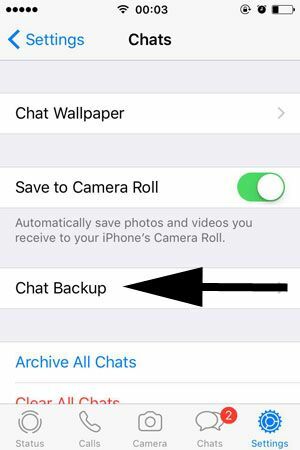 If you have already signed in, tap on “Chat Backup” to cloud backup your WhatsApp chat data on iPhone. That’s all you need to do for backup your data. You can manually make your backups but you can also cloud backup your WhatsApp data daily, monthly, weekly, etc. I have removed some important pictures from WhatsApp conversation accidentally. I did not remove them from my device though. However I cannot find out which pictures were they… Too many similar pictures on memory of my phone. Can you help? I am using iPhone 8 and iOS 11.2. The most recent version of iOS. BTW, your website helped me a lot about WhatsApp recently! Thank you! Since you have posted this here, I assume you didn’t backup your conversations before you have deleted them. Sad to hear for your trouble. Actually there is not much to do for this since you cannot find out who has sent those pictures to you. However there is still a way to get those pictures from your gallery. I hope your memory is good though. Tap “Photos” on iPhone 8. After you tap on Photos, you will see all pictures which you have received (or which you have taken) on your iPhone day by day. If you can remember the exact date of the conversation, you will able to find pictures that you want to get. Or there will be less mess for you.